Yes, you read that correctly! Q-Tip of the legendary A Tribe Called Quest is partnering with Leonardo DiCaprio and Jonah Hill to develop a scripted TV series loosely based on the iconic rap group, according to Deadline. The drama has no writer yet but DiCaprio’s production company, Appian Way, is expected to start pitching networks next week. 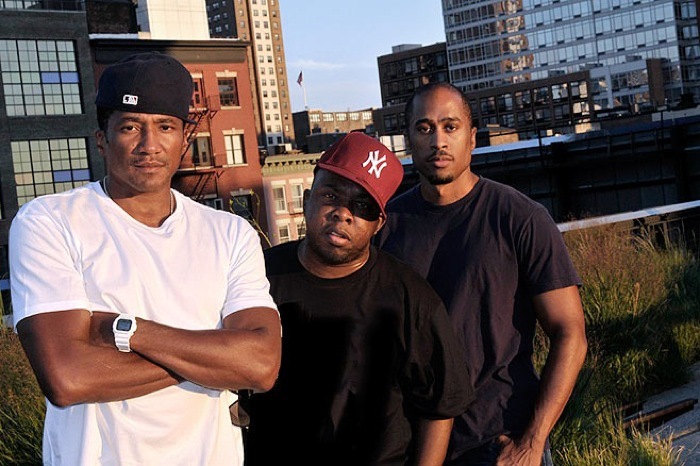 Q-Tip is a founding member of A Tribe Called Quest, which he started in 1985 with Phife Dawg, Ali Shaheed Muhammad and Jarobi White.They were known for their positive-minded, Afrocentric lyrics and their affiliation with the Native Tongues Collective, which also included Jungle Brothers, Queen Latifah, De La Soul and more. The show will reflect on the ups and downs of their friendship and how their music impacted pop culture.